The definitions of micro, small, and medium businesses have just been radically overhauled | MD Accountants & Auditors Inc. The legal definition of micro, small, and medium-sized businesses has just been substantially updated for the first time in more than 15 years. “Very small enterprises” no longer exist, and companies with a turnover of up to R220 million can qualify as medium-sized – at least in the wholesale trade. Asset value no longer counts at all. Here are the turnover limits for each sector of the economy. Small business development minister Lindiwe Zulu on Friday published a radical overhaul to the definition of micro, small, and medium-sized businesses, the first big change to those definitions since 2003. 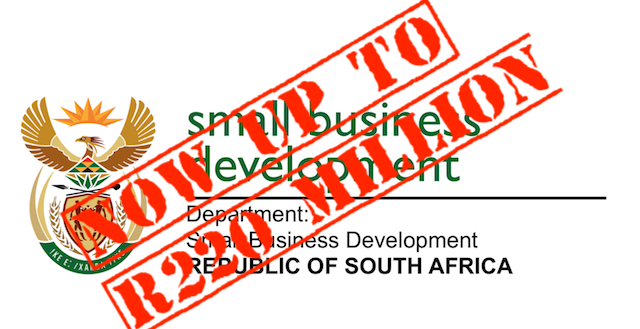 The definitions are applied in a number of ways, most notably in determining which companies qualify for tenders set aside for SMEs, and for various incentives and forms of assistance aimed at promoting small businesses. The updated definitions do away entirely with a fourth type of small business previously recognised, the “very small enterprise”. “Many users found this size or class category unhelpful and inconsistent with international practice,” Zulu said in her Government Gazette notice. The new definition also entirely removes gross asset value as a metric because it is “often inappropriate and difficult to measure”. That leaves only two metrics to legally determine the size of a business: the number of employees (full time paid employees, or the equivalent of full time paid employees), and total annual turnover. The ceiling for employees has also been updated, and is now uniform across all companies, regardless of the sector they trade in. Micro enterprises can have a maximum of 10 employees, small businesses must have between 10 and 50 employees, and medium-sized enterprises can have up to 250 employes. 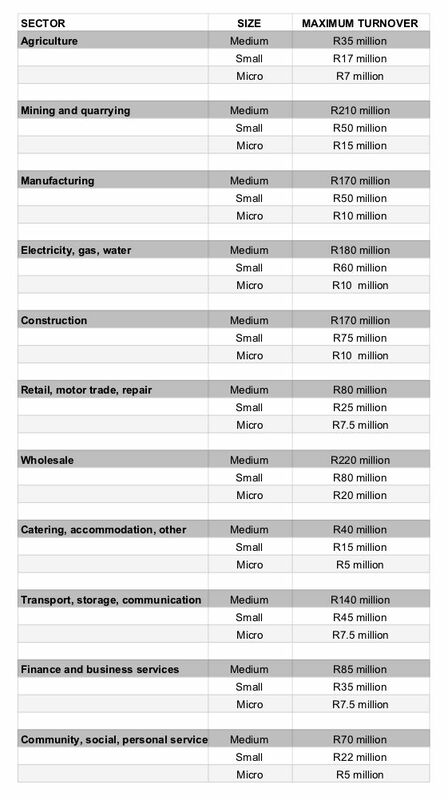 Turnover ceilings now range from R220 million, the maximum for a wholesale company to qualify as a medium-sized enterprise, to R5 million, the maximum for a catering business to qualify as a micro enterprise. Here are the new turnover ceilings for each class of business, as broken down into sectors by the small business development department.